Research done by Ramón y Cajal, Donald Hebb, and David Marr introduced the idea that memory is being encoded in the patterns of synaptic connectivity between neurons in the brain. Our understanding of memory has since become more nuanced: there is evidence that memory can be altered in several ways. Karim Nader, a McGill neuroscientist reported that when previously consolidated memories are recalled, they return to a labile state-they become unstable and susceptible to change. This makes the recalled memories vulnerable to alteration after drug administration. Protein synthesis is required for the reconsolidation of recalled memory. When drugs that inhibit protein synthesis, such as propranolol or anisomycin, are administered within a particular time frame after recall, the emotional valence (the emotional value, positive or negative, that is associated with a stimulus) of the memory can be altered. Experiments on mice suggest that memory “impairment observed after propranolol administration may result from a modification of the emotional valence” of memory, as opposed to disruption of the contextual component of a memory. Members of the scientific community have proposed the use of memory-altering drugs to treat disorders like PTSD (posttraumatic stress disorder). 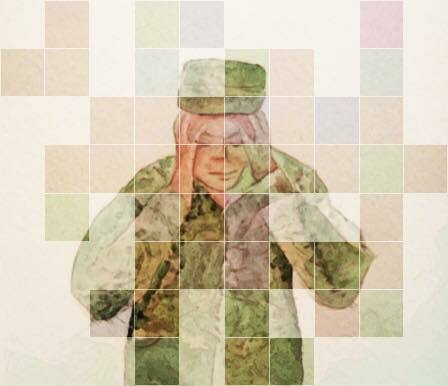 PTSD is a mental illness that some people develop after experiencing or witnessing a stressful event, like military combat, a natural disaster, a car accident, or sexual assault. Patients often suffer from sleeplessness, nightmares, comorbidities, and interpersonal problems. Scientists have hypothesized that memory-altering drugs can eliminate fearful responses to traumatic memories in PTSD patients, and hence alleviate symptoms. Advancements in neuroscience technology offer unique opportunities to treat resilient illnesses. Yet many people are alarmed by this prospect. As far back as 2003, the US President’s Council on Bioethics issued a report that largely decried the use of such drugs. The council argued that memories are associated with our sense of self, so any form of memory manipulation can affect a person’s individuality. In this case, to treat severe memory-related disorders like PTSD by using memory-altering drugs is claimed to fundamentally change who we are. Memories form a mental schema which helps us avoid making mistakes of the past. When the emotional valence of a memory is altered to treat PTSD, it can be argued that a person rebuilds his or her life on a facade. But the dampening of emotional salience of memory does not undermine our sense of self or personal identity. Using combination therapy, drug administration in conjunction with counselling, may actually speed up the healing process. Disorders like PTSD which often accompany severely traumatic experiences can alter everyday functioning of individuals. Consequently, pharmacology could transform living conditions for those with PTSD into healthier ones, in which individuals are no longer consumed by overwhelming emotions from recalling traumatizing memory. The media often mischaracterizes neuroscience technology, making it partly responsible for the misconceptions about the effectiveness of memory-altering pharmacology and its treatment of PTSD. The media overexaggerates the effectiveness of the memory-altering drug, propranolol. These inaccuracies in reporting could lead readers to believe that one of the highest priorities of medical professionals is to implement treatment options for PTSD that involve complete erasure of consolidated traumatic memories-the introduction of a “memory-wiping pill.” Propranolol does not allow neuroscientists to erase the contextual content of memories that have been consolidated. Yet several media articles claimed that scientists can already pinpoint and erase any specific memory by using propranolol, and if not for ethical restrictions, this technique would be implemented to treat PTSD. In fact, as opposed to popular media reports, most scientific publications conclude that there is “promise to reducing subsequent memory for new or recalled emotional material,” but that extensive clinical research is needed before emotional-memory-altering pharmacology is available for widespread use. This misinformation needs to be challenged to curb the growing public perception that neuroscientists seek to completely erase painful memories. Media titles often include phrases like “Scientists erasing memory with light,” or “Would you erase your ex? Bad memories could soon be DELETED from our minds for good.” Headlines claimed there was a “drug helps erase fearful memories”, the Daily Mail talked about a “pill to erase bad memories”. These are sure to grab readers’ attention but these titles, like many others, are dishonest. These media outlets are using catchy headlines to gain readership, making it difficult for those who might benefit from this pharmacology to make informed decisions about using drugs to treat symptoms of psychological trauma. There are some articles that have worked to advance the public’s understanding of neuroscientific technology but others facilitate misunderstanding and violate public trust. These media headlines obscure the interpretation of scientific data about memory consolidation, reconsolidation, and pharmacological alteration of the emotional valence of memories. Kolber, a professor of law at Brooklyn Law School and editor of the Neuroethics & Law blog, writes that “drugs are viewed as special, like magic potions that can be used for good or evil. In reality, though, our memories are constantly being erased and modified over time. . . For some reason, though, we are more accepting of memory modification when it happens without pharmaceutical intervention,” such as in talk therapy. Fake news is not a new phenomenon. There is false celebrity gossip, fabricated stories of political figures, and in this case, miscommunication about scientific research. At times it is not that the published information is apparently wrong, there can be subtle deceptions in the descriptions of the significance of scientific findings. It is up to readers to check the most suspect stories and subtleties in wording. The International Fact Checking Network (IFCN), a branch of the Florida-based journalism think tank Poynter, was recently enlisted for this purpose. This has allowed Facebook users to flag articles they believe to be deliberately false, and to use thirdparty fact checkers with the IFCN to confirm or deny claims. As a reader of news articles, take everything that you read with a grain of salt. Follow the linked sites in articles to confirm information from primary sources. We need to be critical of what we read and develop informed opinions about important issues that are being covered in popular media. The media has wrongfully influenced public perception about the goals of neuroscientists, the biological mechanisms of propranolol, and its medical applications. For memory-altering drugs, there need to be more standardized clinical trials so that we have a better understanding of the effects, and their ability to treat severe cases of PTSD. Erroneous claims of intent and ability to use this medication to completely wipe memory of human patients should not be promoted.